I've got a random Five on Friday today. Seriously. All over the place. I finally ordered graduation gifts. Finally. I hope they're here before the grads go off to school, otherwise, I guess I'll be sending a care package. 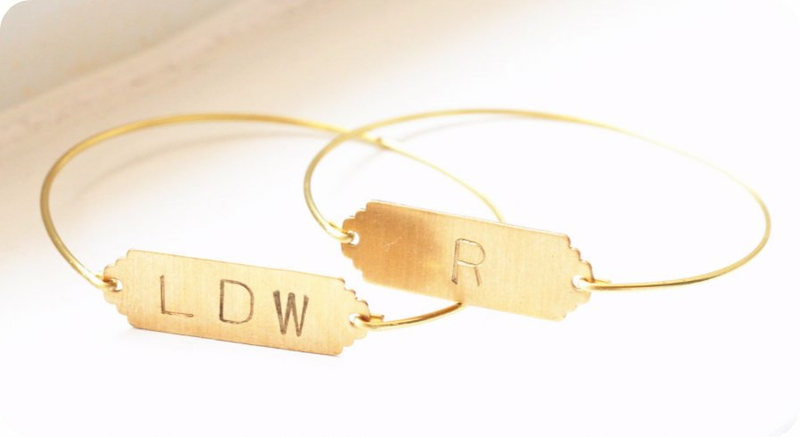 These bracelets from Sweet Auburn Studio were just perfect. Dainty, classic, goes with everything. It's my birthday month, and I've been inundated by birthday discounts. This would not be a problem except I want to use every birthday discount at every single store from which I received said discount. Do I really need something from Vera Bradley? No. The answer is no. What is your favorite store that gives a birthday discount? It's a tie for me between Anthropologie and Kendra Scott. I'll post more on this later today, but I was invited to a blogger preview of a new Fort Worth location of The Container Store. If a store can be beautiful (and I believe that Anthropologie has proven that yes, a store can be beautiful), this one was so happy and beautiful. As I was taking the tour, I realized that I have spent a lot of money there over the years. Who doesn't love containers though? What's your favorite organizing tool, and do they sell it at The Container Store? Here's mine. 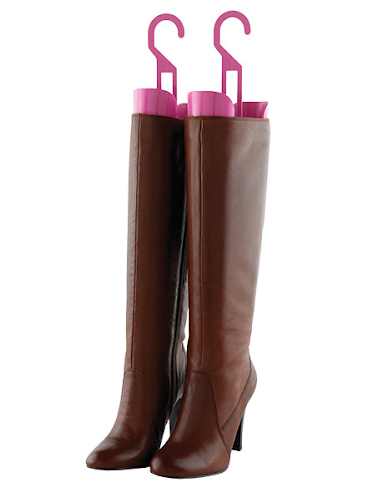 These boot shapers are a must have. I don't hang them up though, they're just standing on a shelf, waiting for a break in this heat. Speaking of heat, I know that if you live in Texas or you have any friends in Texas, you've been annoyed by the posting of car temperature gauges because it's so hot here. Personally, I'm a summer girl and love the heat, but it's a totally different ballgame with little kids. While the infant carrier has its advantages, it's a roasting oven in the summer days so I feel bad loading Annabelle into it. I'm ready for it to cool off so we can have some fun outside again, preferably during the daylight hours. Our backyard has great shade in the afternoon and evening, but the heat is just stifling. I've been doing quite a bit of reading the past couple of weeks and have some book reviews coming up! Birthday discounts?!? Maybe I need to sign up before October! I'm reading the craziest assortment of books right now. I'm so guilty of reading a book in one room and picking up another in a different room. I seriously have like five going right now. I'm reading Lysa TerKeurst's Unglued, Lord of the Flies, Gone Girl, and listening to a Harry Potter book in the car. Ha! Have a good weekend! I'm going to do a full on post of what I've been reading, but they've been fairly random too! I can't bring myself to read Gone Girl. Everyone who has read it says the ending makes them mad. I'll be curious to see what you think. I can't have a book that ends with me mad! I love those bracelets. I have heard lots of great things about boot shapers...I am going to have to invest in some. I love these! I got so tired of my boots slumping over on the shelf. I can't wait to see how the bracelets turn out in person! Oooh I love the Container Store! And, I'm reading a huge stack of books on Executive Functioning and how to encourage said skills in children of varying temperaments. Also cookbooks. =) Have you SEEN the new Tyler Florence one? The cover art! I die. I know!!! It was so fun and happy, Liz! I am intrigued about this executive functioning. I'm going to need some details, please! YES! My favorite restaurant one is Genghis Grill. Healthy and fresh and something a little different!